A few mountains around the world cannot be climbed due to restrictions and bans placed on climbing these mountains for several reasons. Mount Kangchenjunga, on the border of Nepal and India, is an example of a forbidden mountain. 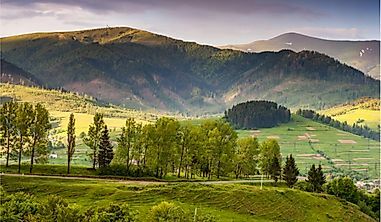 Mountains have amazed and inspired humanity for thousands of years with many communities linking religious and cultural beliefs with the mountains surrounding them. While most mountains across the globe have attracted mountaineers and hikers, there are few that remain out-of-bounds with all human activities on the mountains being banned. Ball’s Pyramid is a remnant of an ancient shield volcano situated 12 miles southeast of Lord Howe Island and is part of the Lord Howe Island Marine Park of Australia. 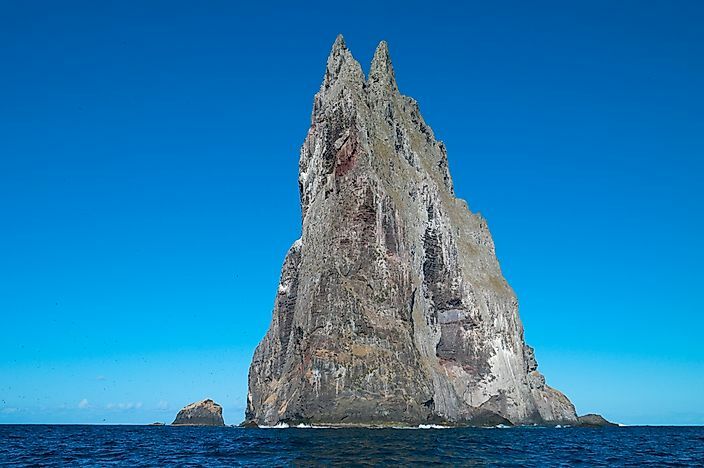 Located in the Pacific Ocean, Ball’s Pyramid is the tallest volcanic stack in the world rising 1,844 feet above the surrounding waters. Ball’s Pyramid has been climbed in the past with the first recorded ascent to the summit being achieved in 1965 by a group of rock climbers. 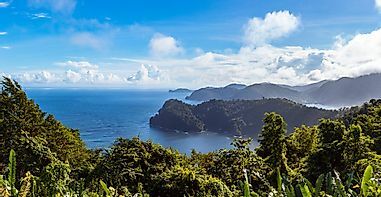 However, climbing of Ball’s Pyramid was banned in 1982 through provisions in the Lord Howe Island Act, but the ban was relaxed in 1990 to restricted climbing and climbers now are required to send an application seeking permission from the state minister. Mount Omine is a sacred mountain located in the Yoshino-Kumano National Park in Honshu, Japan. The mountain is officially referred to as Mount Sanjo but is named Omine due to its location in the Omine mountain range. The mountain rises 5,640 feet above sea level. Mount Omine is a sacred place based on believers of the Shugendo religion and is home to an 8th-century monastery which serves as the headquarters of the religion. Women were strictly banned from accessing or climbing the mountain as they were perceived of being unclean particularly during menstruation. However, the 1,300-year strict ban on women was relaxed and is currently voluntary prohibition with a sign being erected at the base of the mountain indicating that women are forbidden. Mount Kangchenjunga is a mountain located on the India-Nepal border and is one of the tallest mountains in the Himalayas. Mount Kangchenjunga is the tallest mountain in India and the third tallest in the world with an altitude of 28,169 feet above sea level. 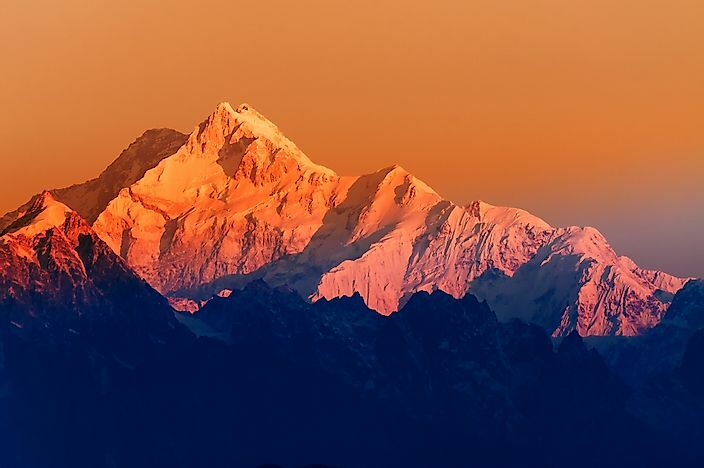 Mount Kangchenjunga is a sacred mountain to the Darjeeling and Sikkim tribes who worship the mountain and members are forbidden from climbing the mountain. However, other people from across the globe have ascended the mountain with the first recorded successful ascent being achieved in 1955. Gangkhar Peunsum is one of the mountains which make up the Himalayas and is located in Bhutan. Mount Gangkhar Peunsum is the tallest mountain in Bhutan rising 24,836 feet. 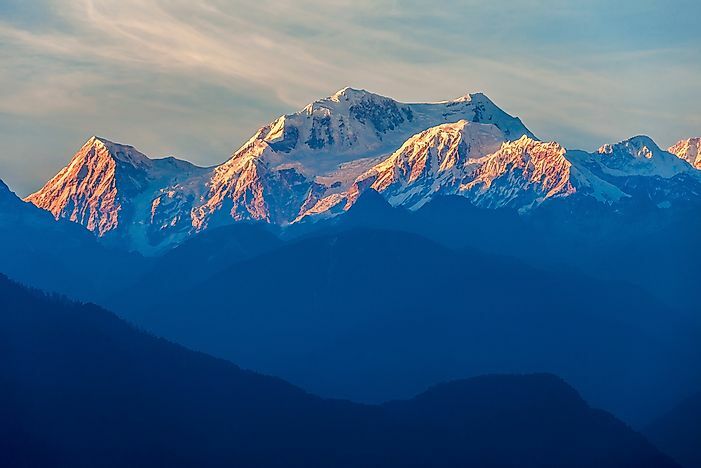 The name “Gangkhar Peunsum” loosely translates to “The White Peak of The Three Spiritual Brothers.” Mount Gangkhar Peunsum is commonly referred to as the highest unclimbed mountain peak in the world. In 2003, local authorities banned any form of mountaineering of the mountain out of respect to the mountain’s great spiritual significance. Before the ban, the highest point ascended on Mount Gangkhar Peunsum was Liankang Kangri, a subsidiary peak reaching 7,535 meters above sea level. 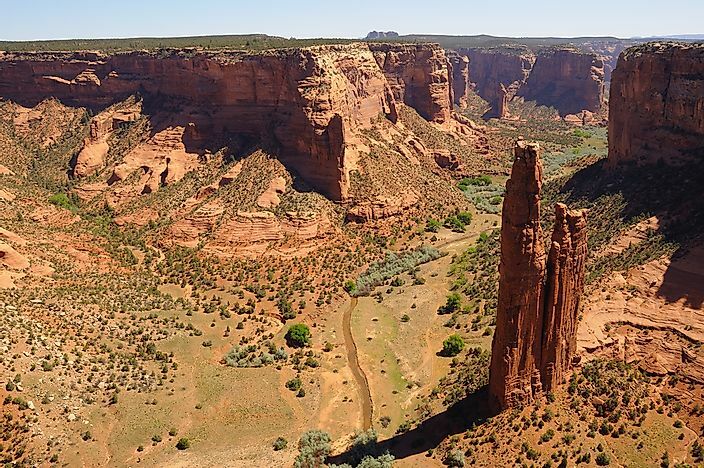 Spider Rock is a sandstone spire located in Apache County, Arizona in the United States within the boundaries of the Canyon de Chelly National Monument, a protected national monument. Spider Rock is the most distinct geological feature of the monument, rising 750 feet above the canyon floor. Navajo traditions believe that the spire is home to the “Spider Grandmother.” Climbing of Spider Rock is forbidden as a directive for an absolute and total ban on all forms of rock climbing around Navajo Country. Shiprock is a monadnock located in Navajo, San Juan County, New Mexico in the United States. Shiprock has an altitude of 7,177 feet above sea level. The mountain is known as Tse Bitai in native Navajo which loosely translates to “rock with wings,” due to its distinct appearance. While the mountain had been climbed in numerous occasions, a tragic death in 1970 on the mountain led to the strict and total ban on the climbing of the mountain. 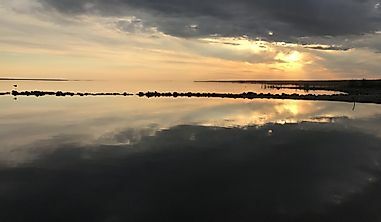 Members of the Navajo community place great significance to Shiprock and the mountain a sacred place according to Navajo traditional beliefs. Mount Machhapuchhre is a mountain located in Nepal and is among the mountains that make up the Annapurna Himalayas. The mountain is among the tallest of the mountains of the Annapurna Himalayas with an altitude of 22,943 feet above sea level. Mount Machhapuchhre is a sacred mountain revered by the local population and is considered as the holy place of the god Shiva. 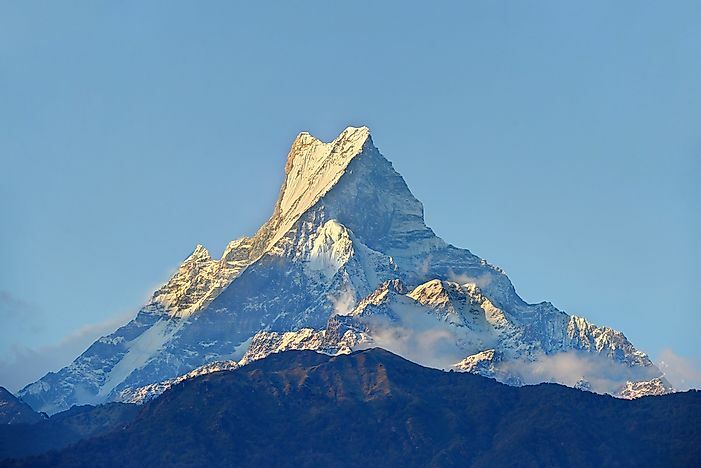 No one has ever been recorded to successfully reach the summit of Mount Machhapuchhre with the only attempted effort being in 1957 by a British expedition. Climbing of Mount Machhapuchhre is banned due to the religious significance of the mountain. Mount Umunhum is a mountain located in Santa Clara County, California in the US. 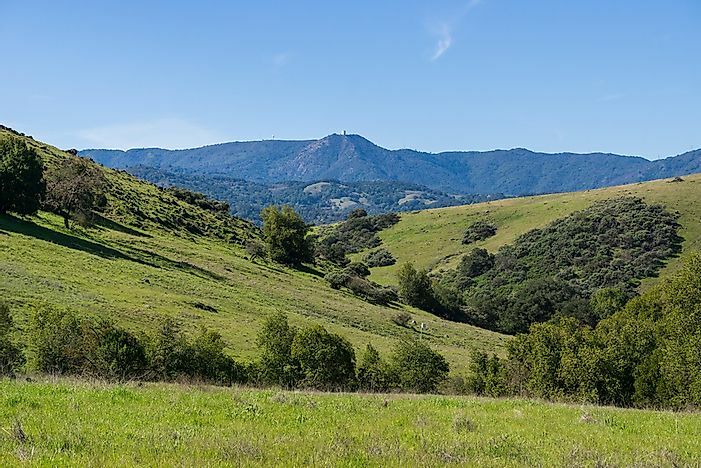 The term “Umunhum” is a term which means “the resting place of the hummingbird.” With an altitude of 3,489 feet above sea level, Mount Umunhum is the fourth-highest peak in the Santa Cruz Mountains. Mount Umunhum is closed off from public access due to the presence of hazardous remnants of a Cold War-Era radar surveillance post known as the Almaden Air Force Station. However, there are plans of reopening the mountain for hiking and mountain biking by the summer of 2017. Mount Banahaw in the background. 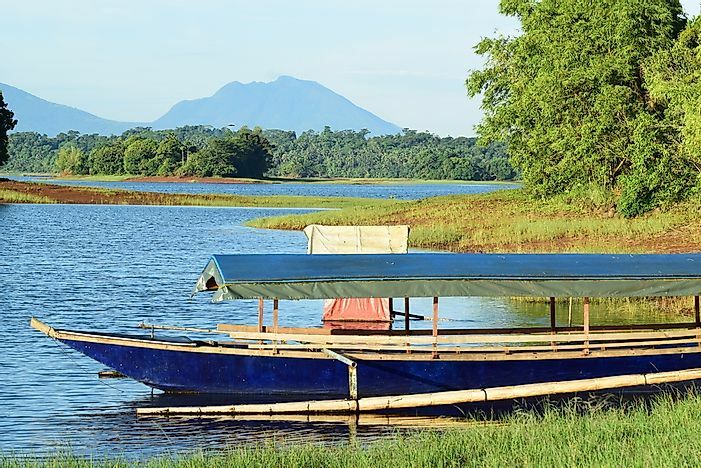 Mount Banahaw is an active volcano situated in the Laguna region of Philippines and is one of the tallest mountains in the region with an altitude of 7,120 feet above sea level. 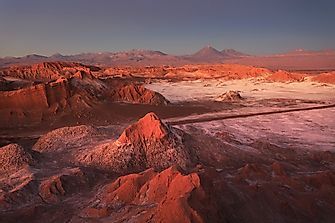 The volcanic activity of the mountain has made it be revered by locals who used to conduct pilgrimages to the mountain. The mountain was also a popular destination for hikers before all hiking activities were temporarily banned by local authorities due to increased pollution along the hiking trails on the mountain. 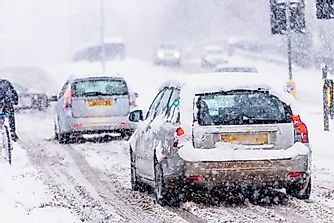 The ban was supposed to be lifted by 2012, but it was extended to a later date. Mount Kailash is located in Tibet, China and among the mountains which make up the Kailash Ranges of the Transhimalaya. The mountain is situated near the sources of the large Asian rivers including the Ganges, the Indus River, and the Sutlej River. 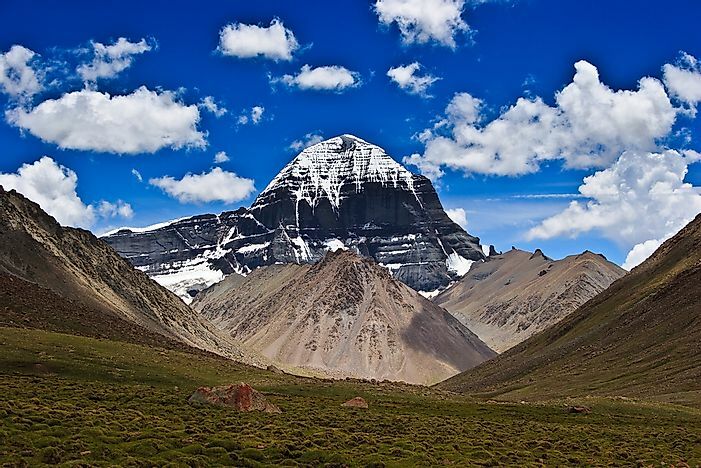 Mount Kailash is a holy mountain which is sacred to four major religions including Buddhism, Jainism, Hinduism, and Bon. Due to the religious significance of the mountain, a strict and complete ban on all mountaineering activity on Mount Kailash is in place.